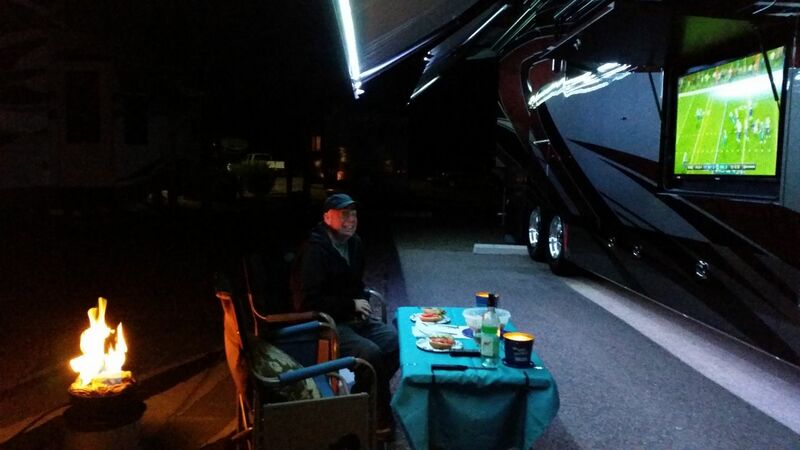 Before the Indio, CA rally (post here) we spent all of November and December in Fort McDowell, AZ at the Eagle View RV Resort. What a great place. We really want to give a shout out to our new friends Craig and Lydia for telling us about this gem and also to apologize to them for telling you all about it. After traveling around for two months straight we were ready for some down time. 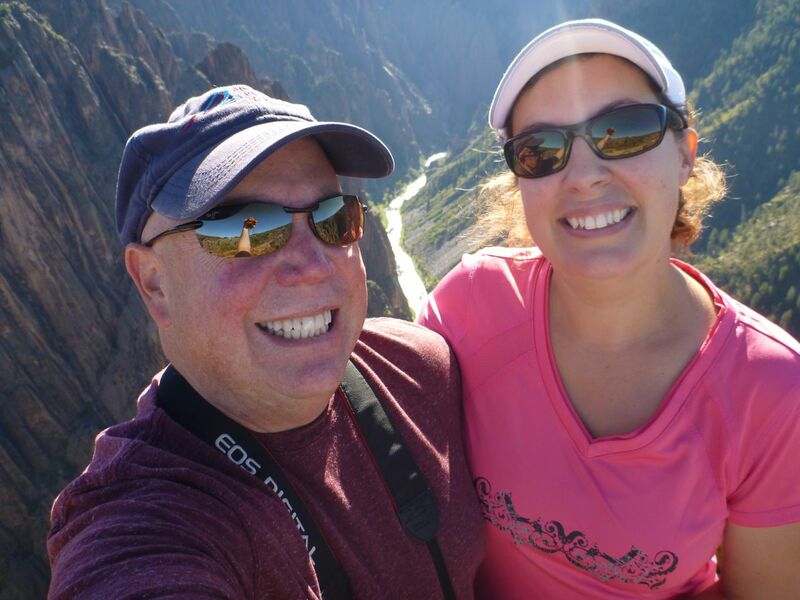 We met Craig and Lydia in Colorado at another rv park and they told us about this place that they go to every winter. It sounded nice and peaceful so we decided to give it a try. Boy, are we glad we did. 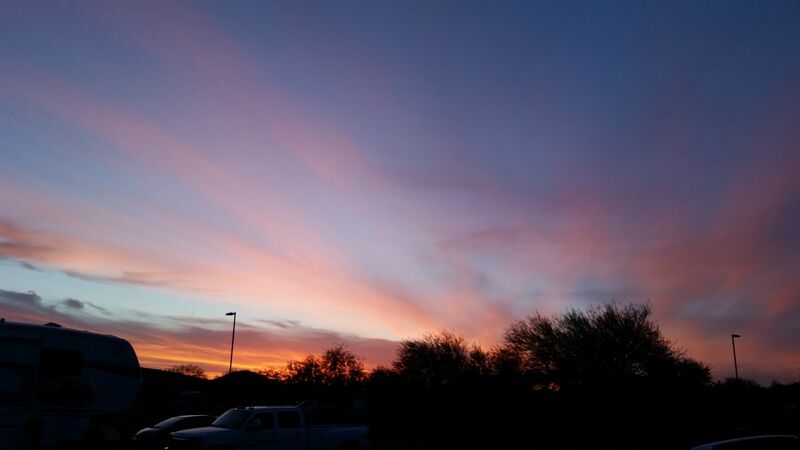 It’s surrounded by mountains (Four Peaks, Superstition and McDowell Mountains) and the Tonto National Forest. So needless to say there are great views all around. 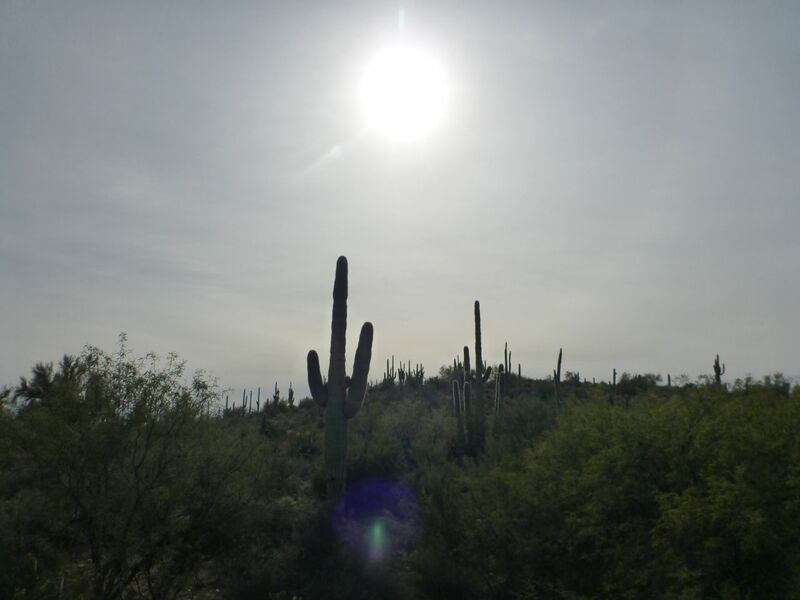 David did a quick video of some of Tonto National Forest when we went out hiking. There is a lot of wildlife around the area. 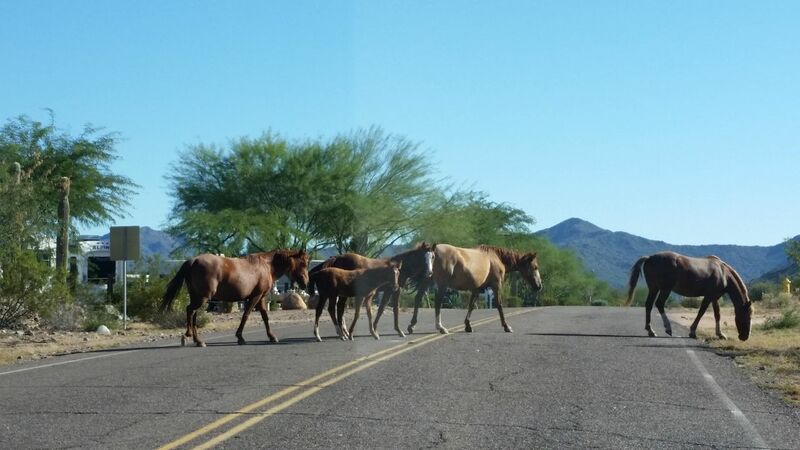 Wild horses can be seen crossing the streets right outside the rv park. Coyotes, Road Runners, wild hogs, they all are here and can be heard mostly at nighttime. 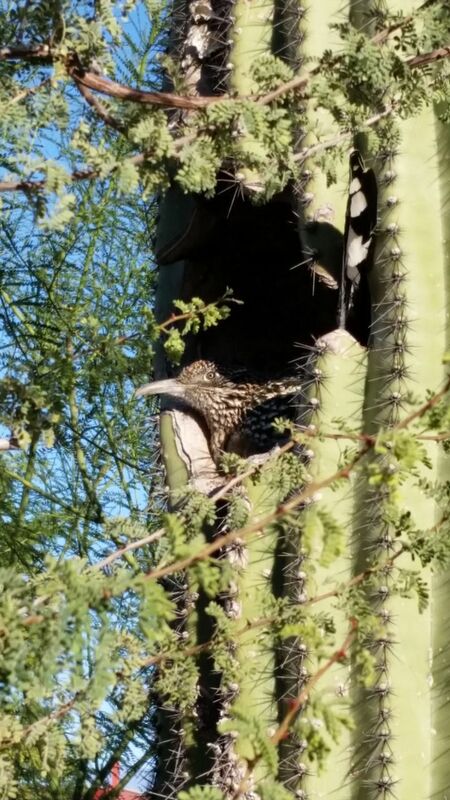 The Road Runner actually runs around the park and we found him resting inside one of the Saguaro cactus. 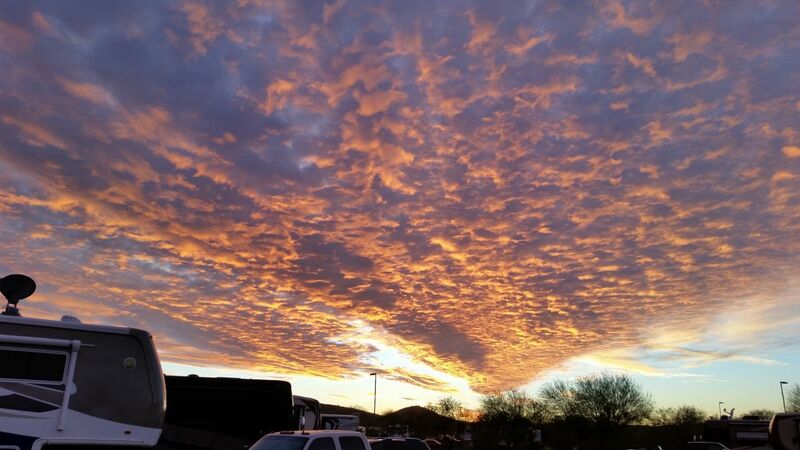 Arizona is a great place to view some amazing sunsets. And we had some doozies. Remember you can click on the pictures to enlarge them. 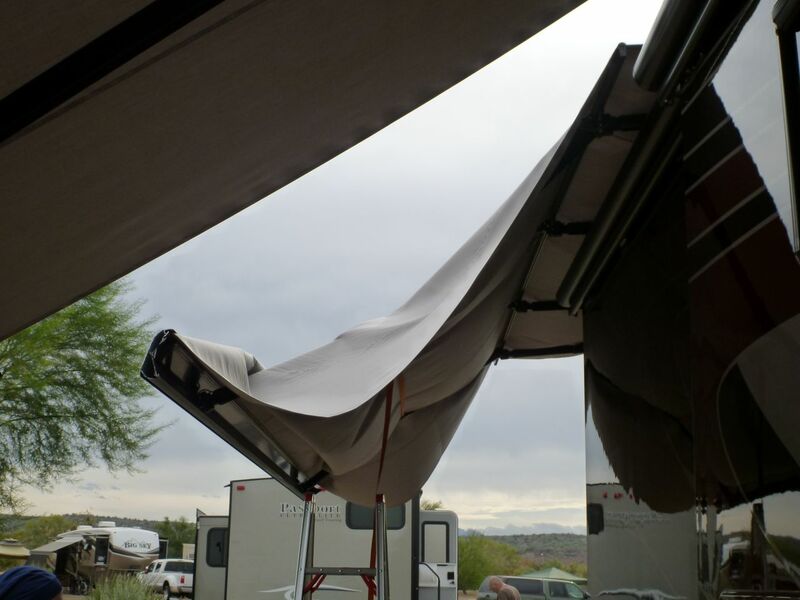 Since we had some time on our hands, we decided this would be a good time to replace our awning fabric. 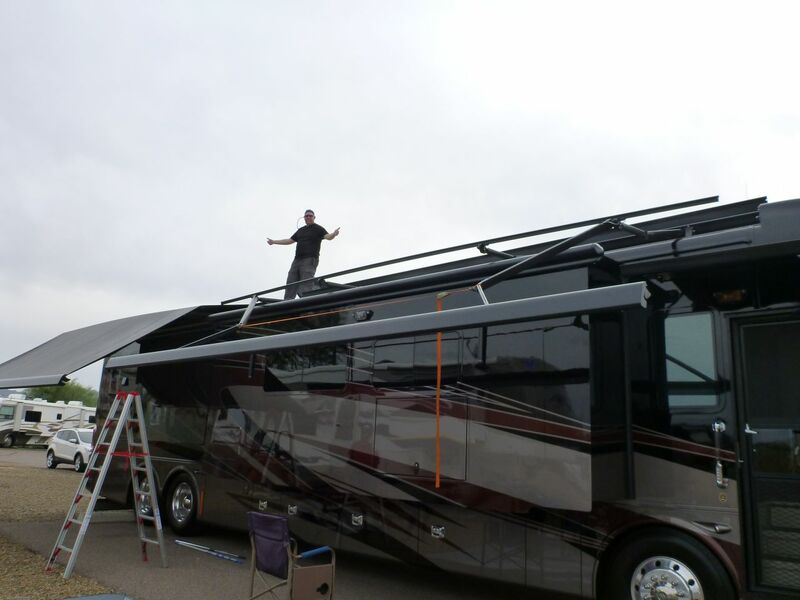 We didn’t like the light grey color that came with the coach, so we ordered a darker greyish/black. It’s actually a black and white thin pinstripe but you really don’t see the stripes once it’s up. We tackled this project by ourselves and seeing that we were surrounded by great neighbors, Joe, one of our neighbors, stopped by to help as well. Great people here at Eagle View. Believe it or not but it really wasn’t that difficult to replace. 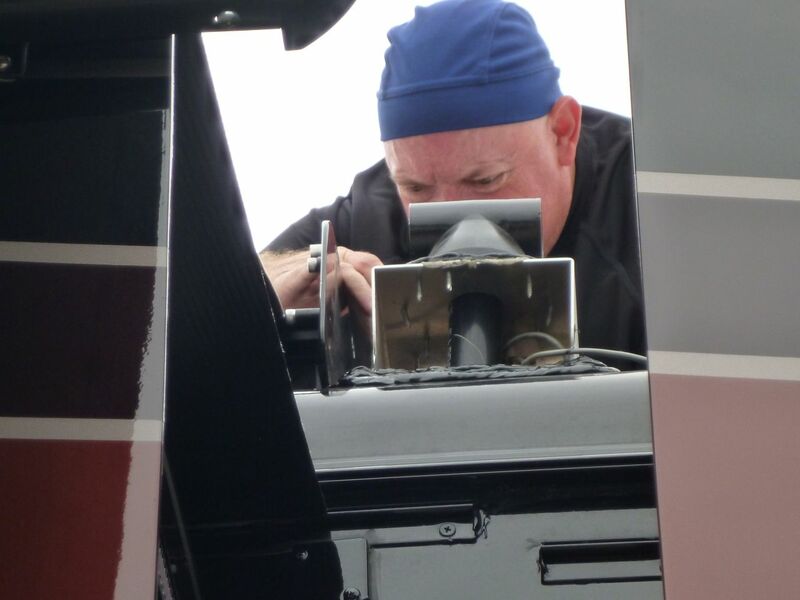 The longest part, and hardest, was finding out that Tiffin had put a casing around the vent pipes so close to the end bracket of the awning that you couldn’t put a screwdriver in there to get to the screws. So David had to Macgyver something to work. This took way to long. We really believe that Tiffin needs to look into this. If anyone needs/wants to replace their awning material and have an awning guy do it for them, a lot of their money will be eaten up in labor costs for the hours it took to get these three little screws out of the end bracket. 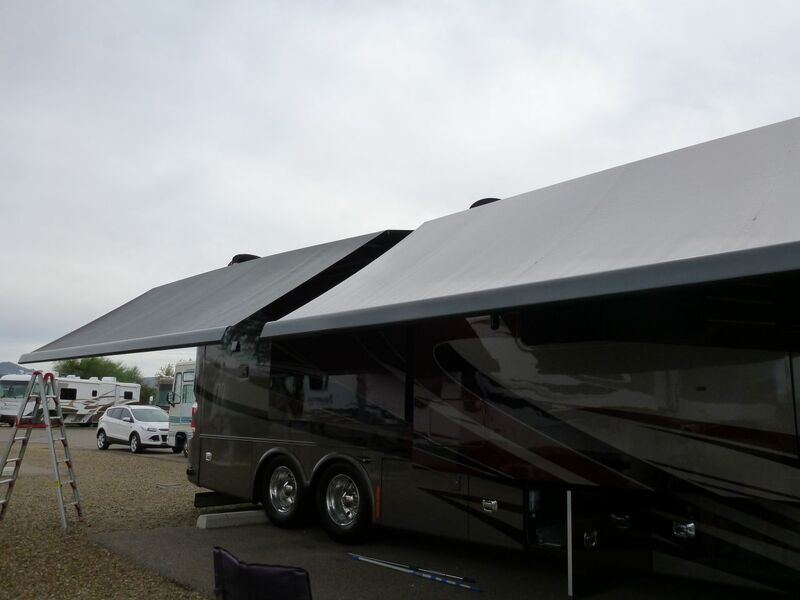 You can really see a big difference in the colors of the awning once we got one up. We are pleased with how it came out. 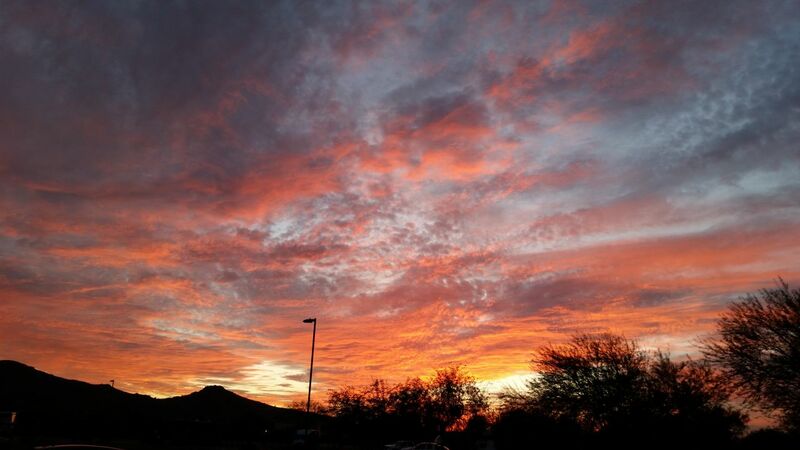 We had some great evenings before the cold front came in, or as Arizona people call it, there 2 weeks of winter. 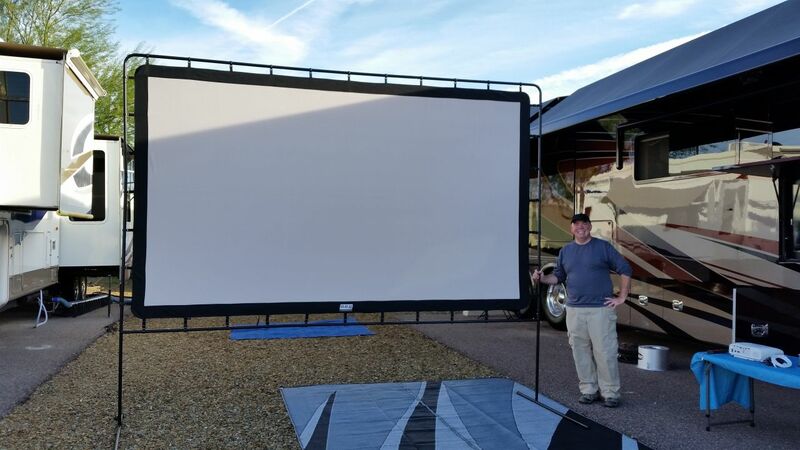 We hosted an outdoor movie night for all our neighbors and enjoyed sitting outside around our fire pit (our propane one as wood fires are not allowed) watching football and such. David didn’t pass up the nice weather to get his quadcopter out and shoot a video of the park. 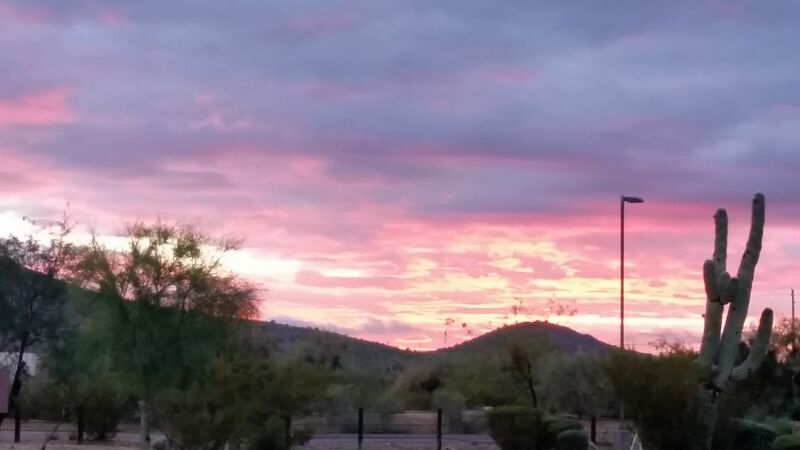 While Fort McDowell makes you feel like you’re out in the middle of nowhere, you really are only a couple miles from restaurants and shopping. 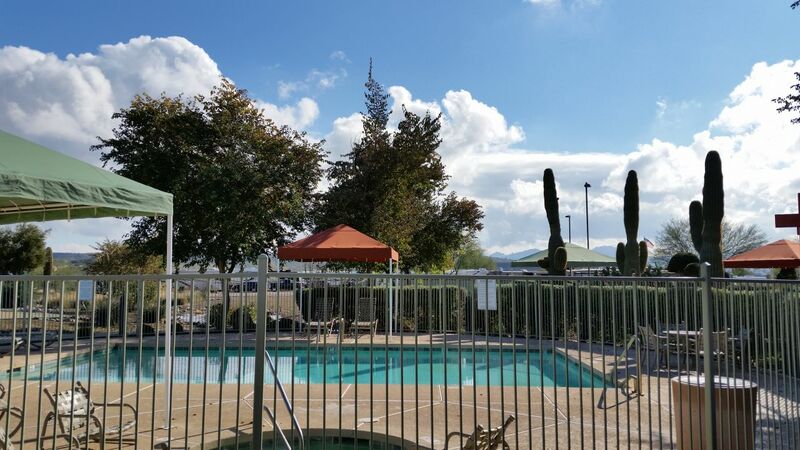 Located right next door is the community of Fountain Hills. 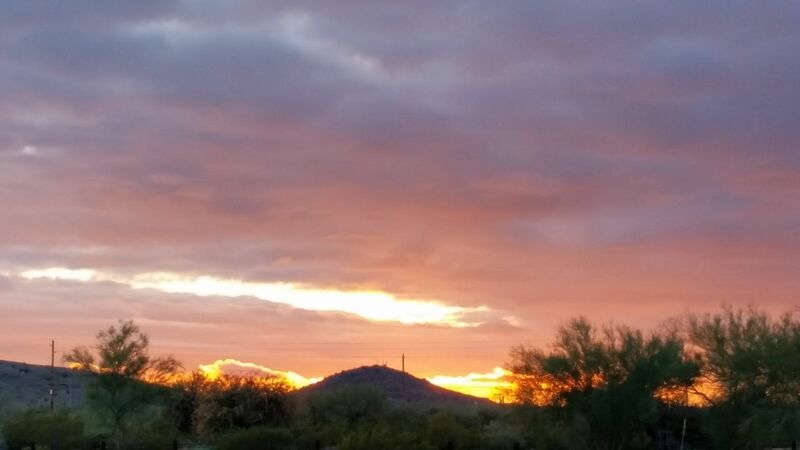 Fountain Hills is of course, named after their famous fountain. Once a Guinness World Record Holder for the largest fountain, it became operational in 1970 and can shoot up to 562 feet! 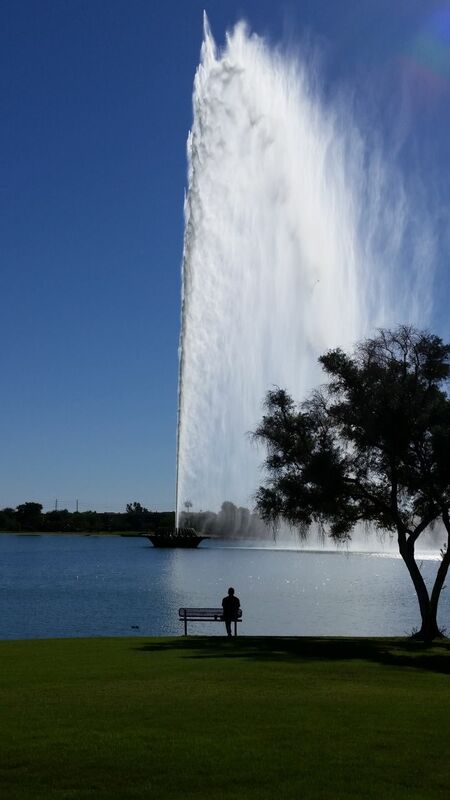 To give you an idea of the sheer size of this fountain, the picture to the left shows the fountain only at 300 feet. The town does not shoot it any higher anymore to conserve power. 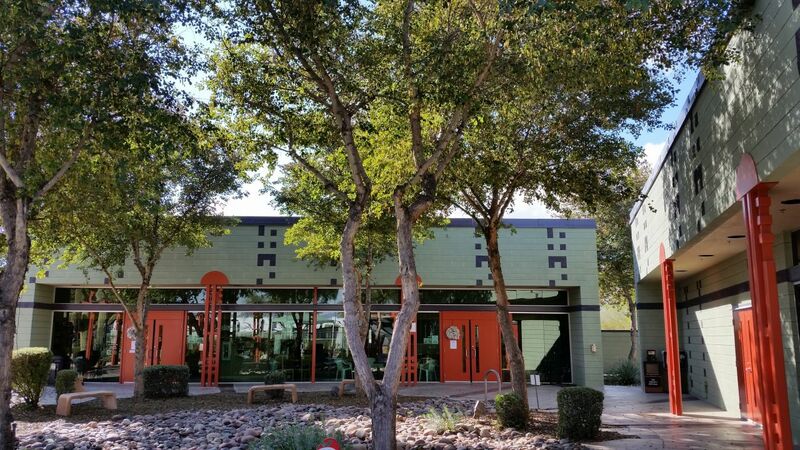 Set in the middle of a 30-acre lake, it’s a lovely and lush park in the middle of a desert surrounding. A popular meeting place, while we were there, their were many festivals and such happening in and around the park. 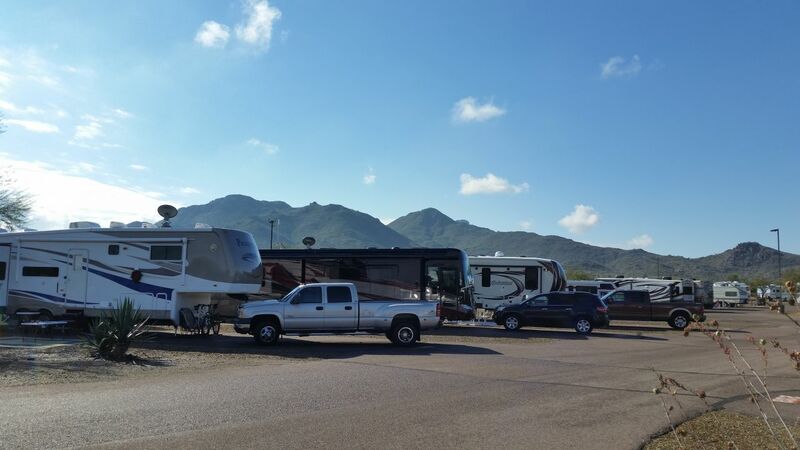 We really enjoyed our time here in Fort McDowell and Eagle View RV Resort. So much so that we made reservations for next winter for three months! We met some great people in the park that have now become good friends. It’ll be nice to meet up again and catch up. The “hogs” are javelina, a peccary not a true pig or hog. You should have told people the park is using your drone video on their web site! 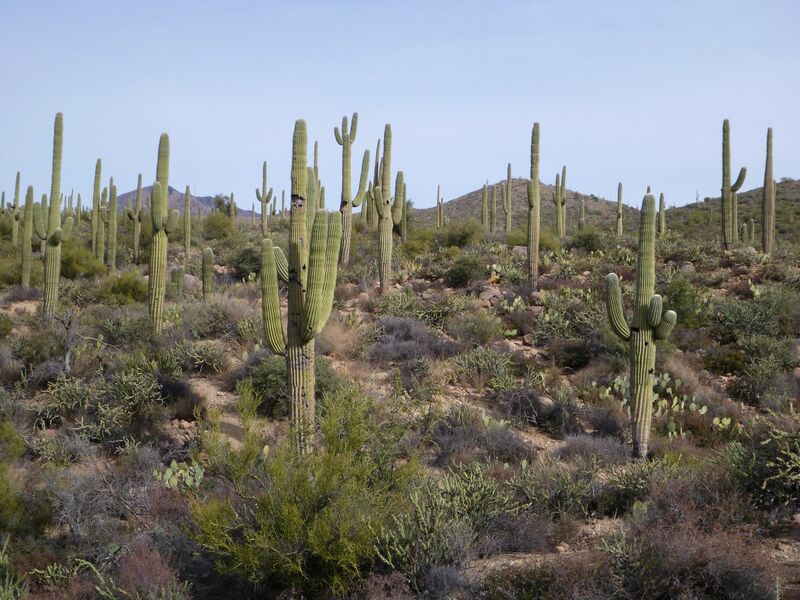 And you should shoot some saguaros from above in April, when they’re in bloom. The flowers are beautiful, but they’re at the tops of the limbs where you can’t see much from the ground. After seeing the recent flyover video David did of the resort, I instantly booked two trips there in a couple of weeks and then again in late March. Thanks for the great information also on the 45OP which is being looked at very seriously now. The area looks fabulous and a perfect winter Ironman training location. Am booking a long stay for next winter too. Great to read Jeff. Hope you told them that the video brought you to them. :) The OP is our next coach…not kidding…we are thinking October. We will be going to Tiffin in Feb to talk to them about it for 2016. We predicted it will be their #1 seller when we were sent the first floor-plan of it. Now it’s time to see if we are right. I tried search on your blog but that did not work. Hello Diane. We have not written about the 45OP as we have yet to see it in person. We will not be in Red Bay until February where we hope to get a walk through of that floor plan. We stayed at Eagle View last year and loved it as well! Hope you don’t mind but I updated my post about the campground to include a link to your video. Glad you got a chance to explore the area with the drone, looks like a couple shots were up at Highway 87 & Four Peaks road? Next year you would probably enjoy taking a drive over the four peak on that road, very very scenic and there’s a 5500 elevation panorama of the desert and Roosevelt lake. The road is fine for an SUV. My favorite time to take the Four Peaks road is right after a snow, pretty hard to be the first person there for that ride as many go up there at daybreak after every snow fall. Cheers!